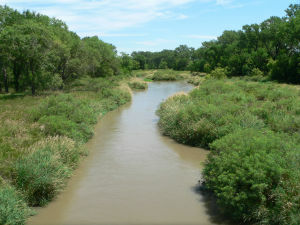 The U.S. Supreme Court recently heard oral arguments in Kansas v. Nebraska and Colorado, which involves a tri-state dispute over water rights to the Republican River. While the subject matter of the suit largely boils down to a very high-profile breach of contract, the case is unique because it invokes the Court’s original jurisdiction. The most famous Supreme Court case addressing the extent of original jurisdiction is Marbury v. Madison, which was decided in 1803. In the seminal case, the justices held that the Judiciary Act of 1789 was unconstitutional because it extended the Court’s original jurisdiction beyond the scope of the Constitution. It is one of the most significant cases ever decided by the Supreme Court because it created the principle of judicial review, under which the Court can nullify an act of Congress if its violates the Constitution. The case currently before the Supreme Court involves a compact to allocate the water supply of the Republic River Basin among Colorado, Kansas, and Nebraska. In the late 1990s, Kansas alleged that Nebraska violated the compact by allowing groundwater pumping. The Court referred the dispute to a special master, and, after several years of litigation, the states ultimately reached a settlement. The current controversy revolves around Nebraska’s alleged violation of the terms of the settlement and the appropriate remedy for its noncompliance. Having exhausted the arbitration procedures set forth in the settlement agreement, the case is back before the Supreme Court justices.